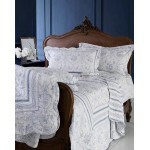 This blue and white classic toile-de-jouy design bedspread set with matching pillow shams will br.. 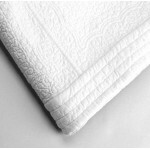 The Whitehall Collection Linen Lace and Patchwork are pleased to present the ultimate in luxu.. 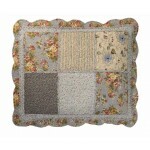 Exciting prints in a hand worked patchwork quilt to give a contemporary look to a tradition produ.. 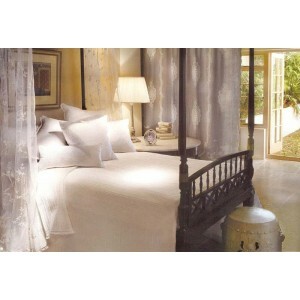 Exciting prints in a hand worked patchwork sham to give a contemporary look to a tradition produc..